Feet of a Peruvian mother and child in native clothing in Ollantaytambo, Sacred Valley. 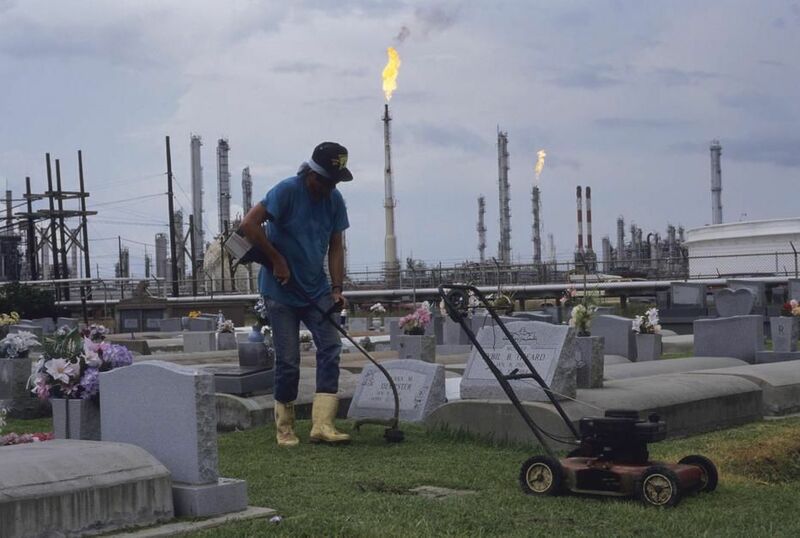 A man cuts the grass at a cemetary in an area known as Cancer Alley in Morrisonville, Louisiana. 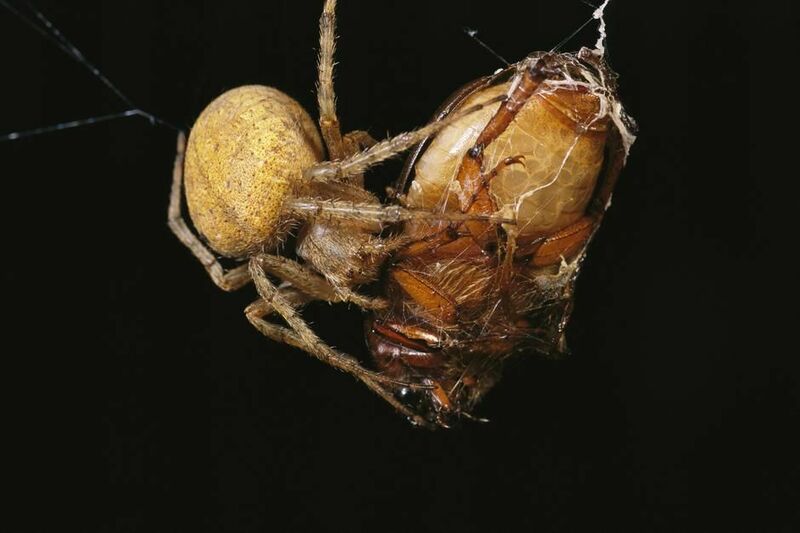 A spider wraps a beetle in strands of silk on Caroline Islands. 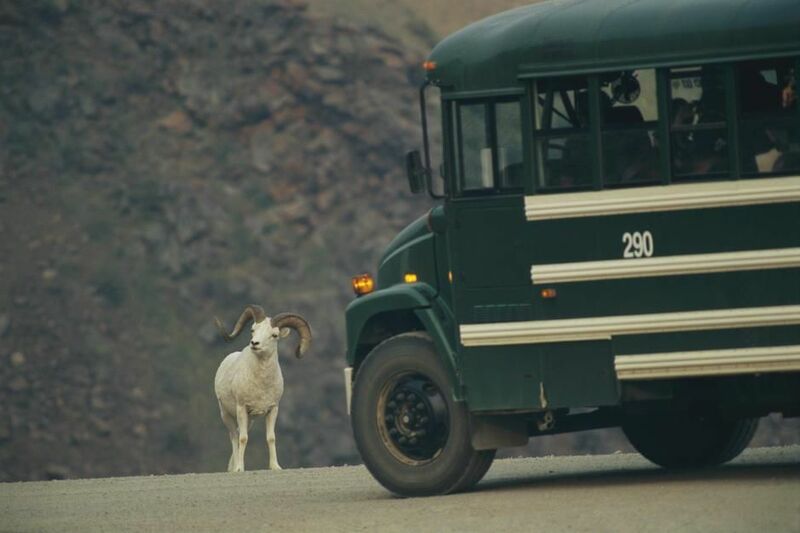 A Dalli's sheep slows a bus down on an Alaskan road. 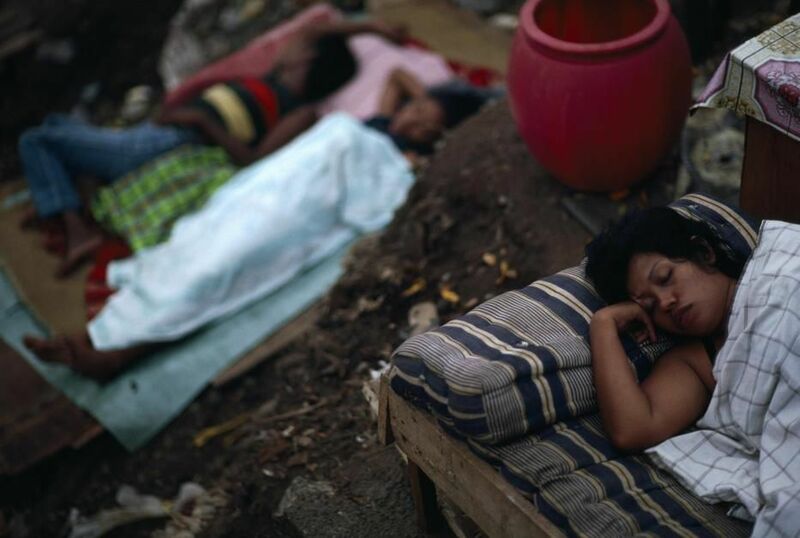 Scenes from the area called Tanah Abang where the homeless built shacks to live in. 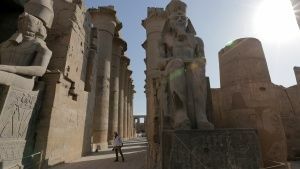 These were subsequently burned down by the goernment. Not knowing where to go, many have remained in these smoking ruins on Java Island, Djakarta. 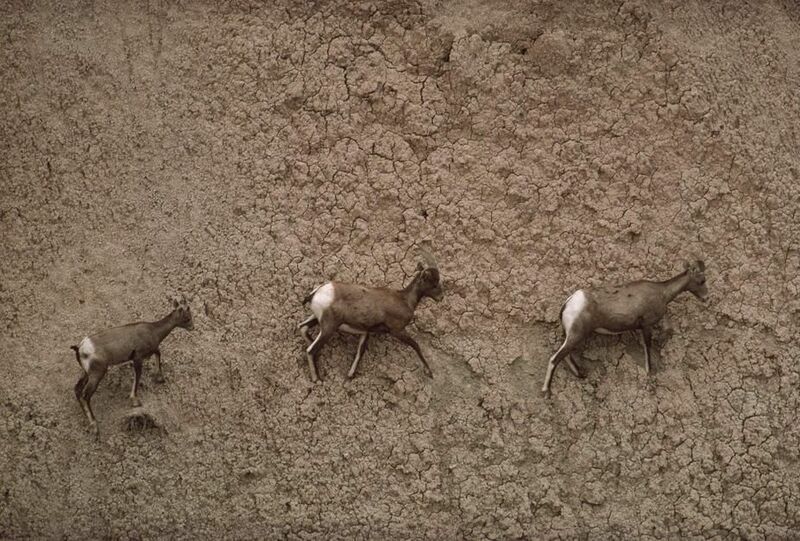 Three American bighorn sheep make their way across an impossibly steep slope in Badlands National Park, South Dakota. 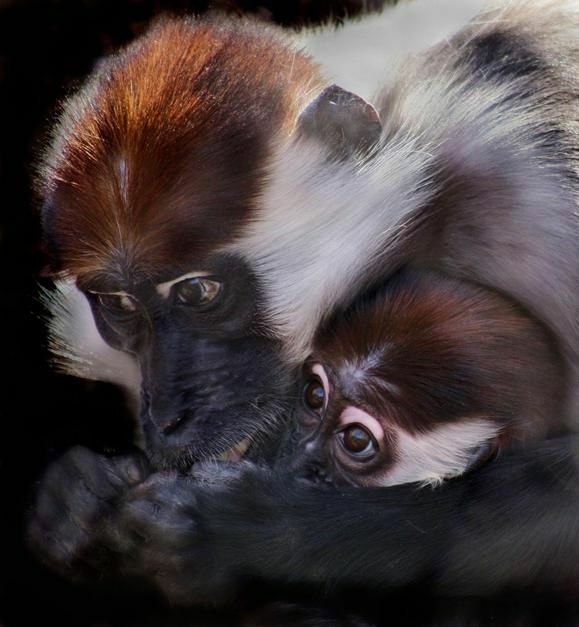 Similarities between animals and humans. 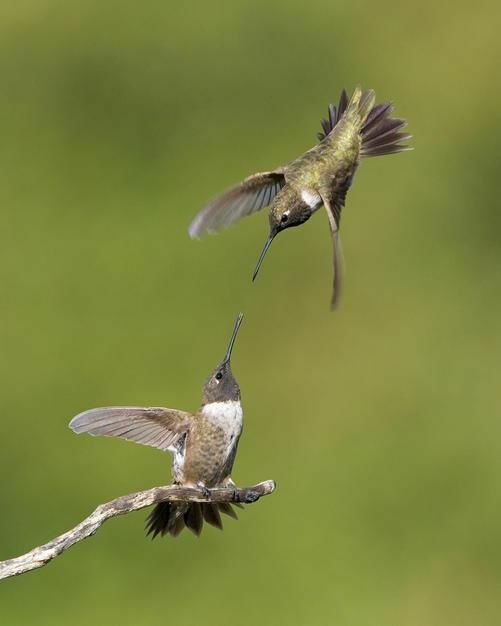 Two male Black-chinned Hummingbirds fight over a favourite perch in Poway, California. 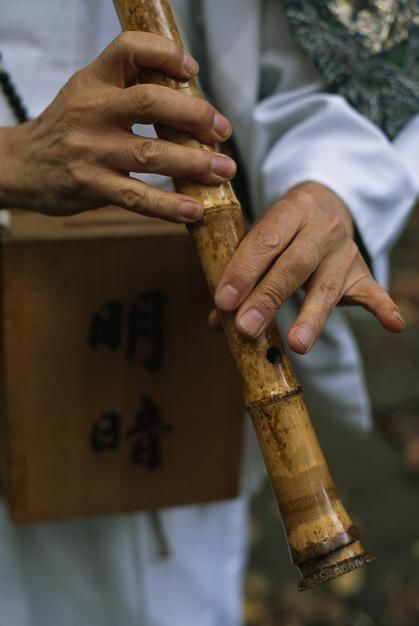 A Japanese man reenacts the traditional role of a Samurai in Tokyo. 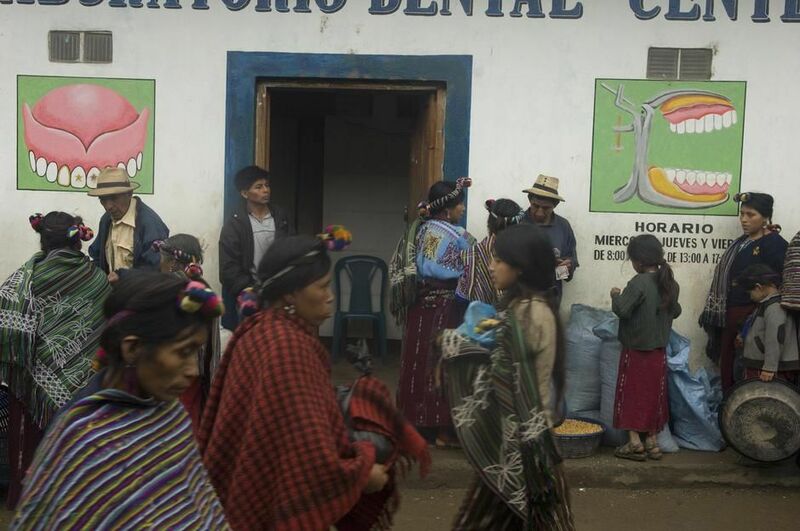 Local people milling on a street outside a dental clinic. 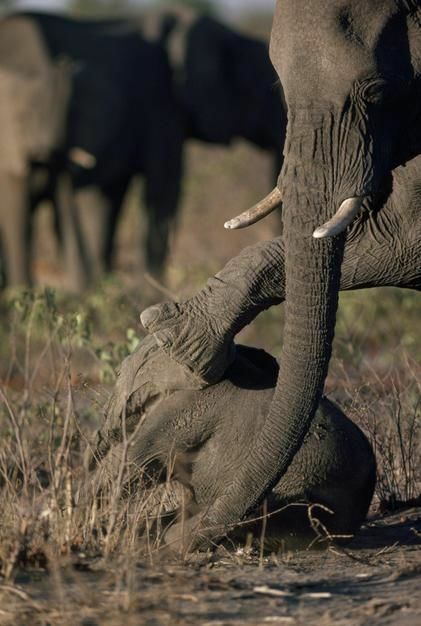 A mother stands by her three-month-old elephant killed by drought as the rest of the herd head for the waters in Etosha National Park. 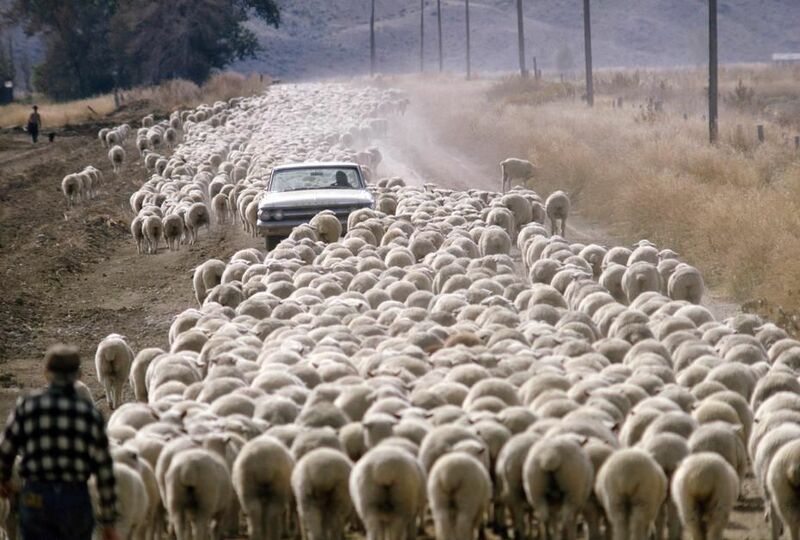 Hundreds of sheep stall a motorist on a dusty dirt road in Wyoming. 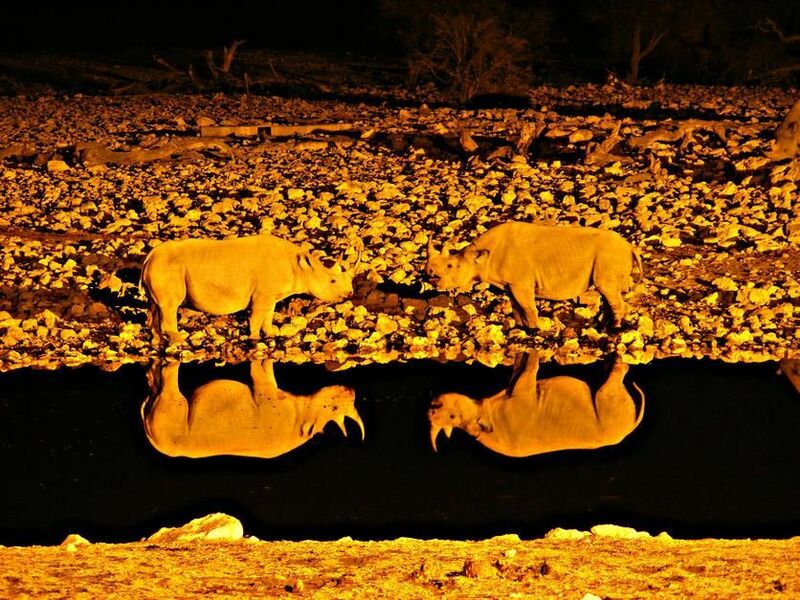 Two Rhinoceros confronting each other are reflected by the water in Malvern, Victoria. 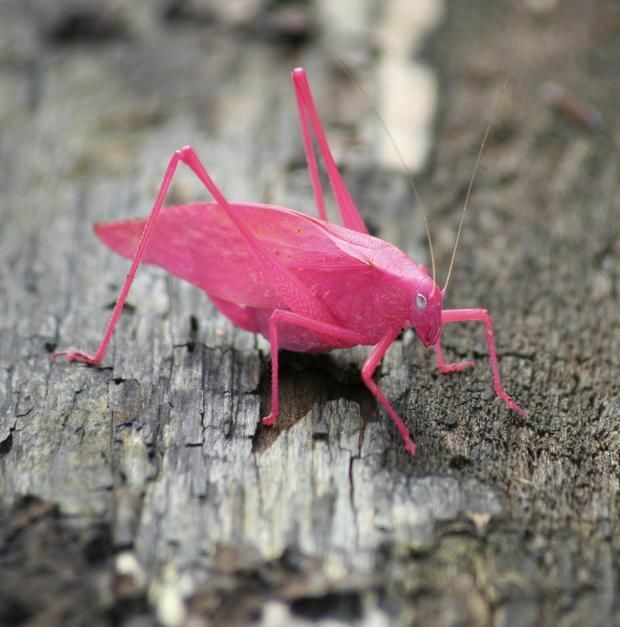 A pink Katydid. 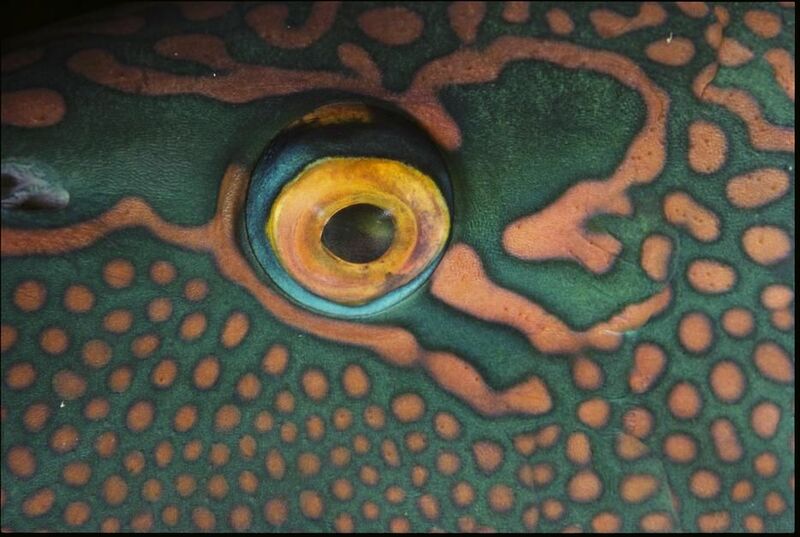 Usually grey, this is a 1 in 500 mutation. 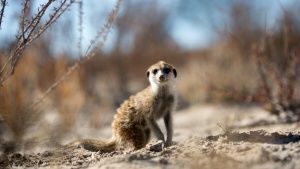 National Preserve, Beverley Shores, Indiana. 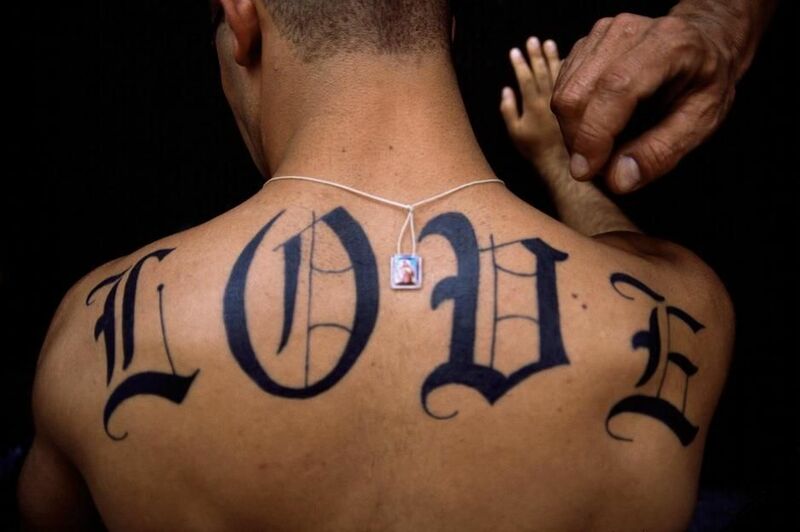 The word "LOVE" tattoed on a man's back in New York City. Happy Valentine's Day. 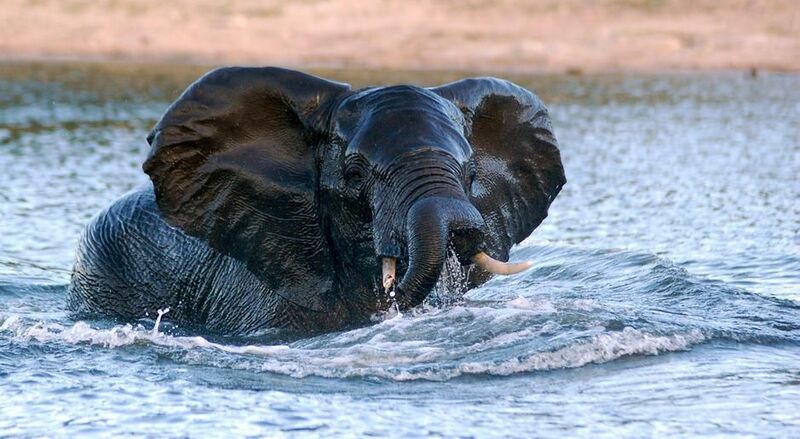 An elephant at the end of its swim across the Chobe River from Namibia to Botswana. On this day in 1961 the Soviets won the space race. 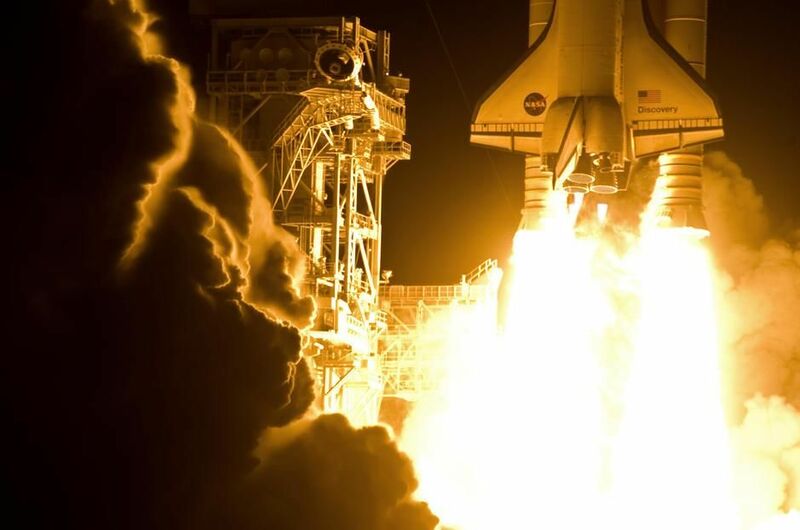 Here the space shuttle Discovery launches its 33rd mission, Cape Canaveral, Florida. 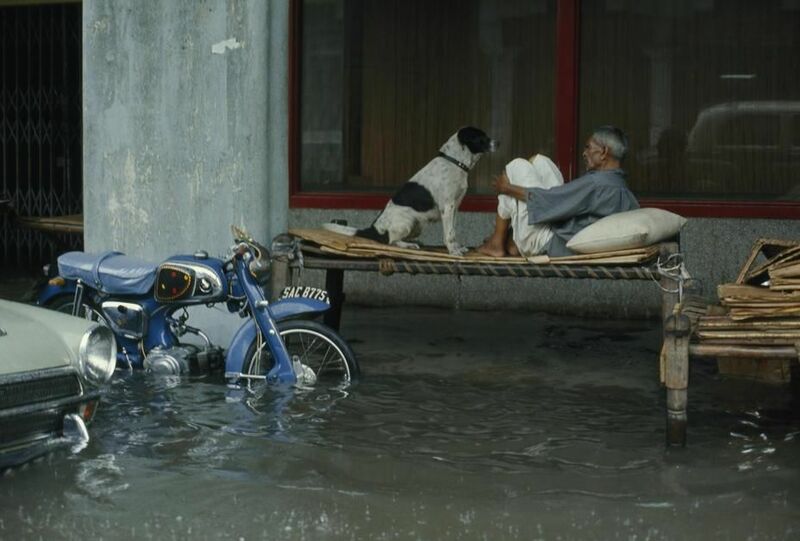 A night watchman and dog sit on a make-shift bed on a flooded street. 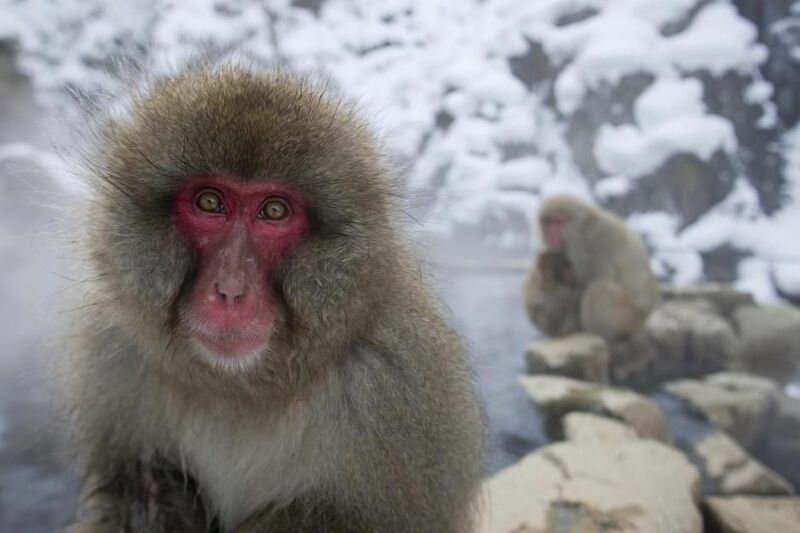 Adult snow monkey in thermal springs, Honsu. 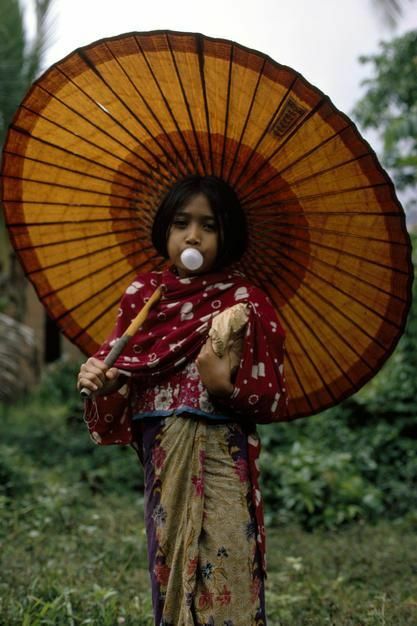 A Muslim girl in traditional dress blows a bubble with her gum. 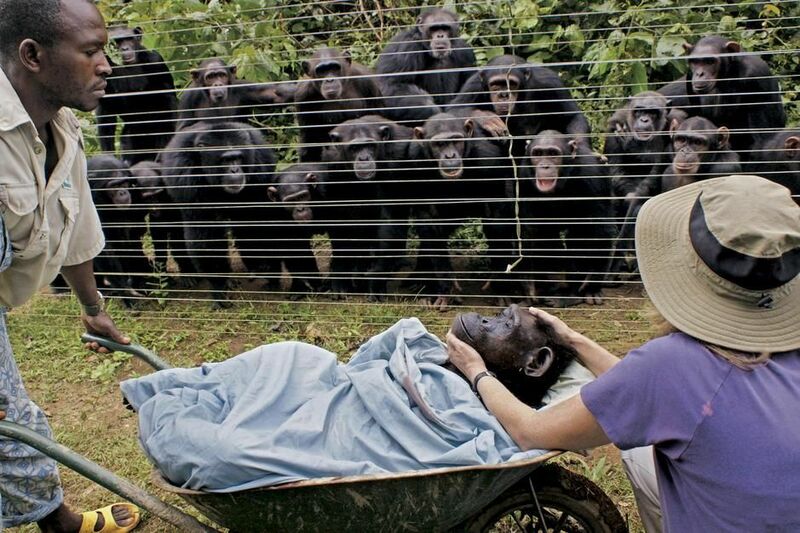 Chimpanzees look on in grief at the burial of one of their own. 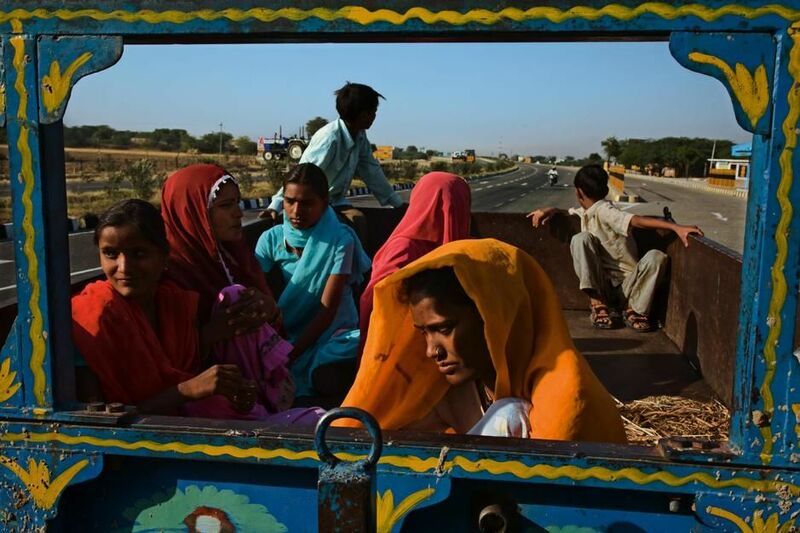 Workers travel the Golden Quarilateral Highway in Palu, Rajasthan. 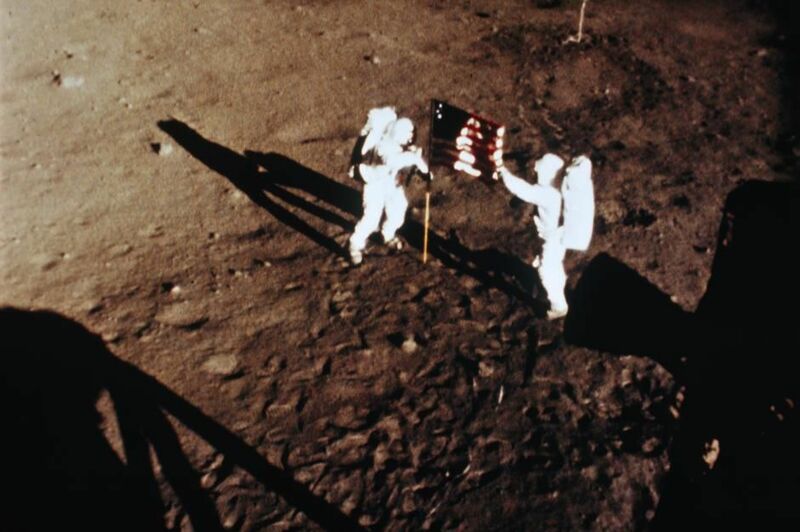 Astronauts Armstrong and Aldrin, raise the American flag on the moon. On this day in 1971 Apollo 14 landed on the moon. 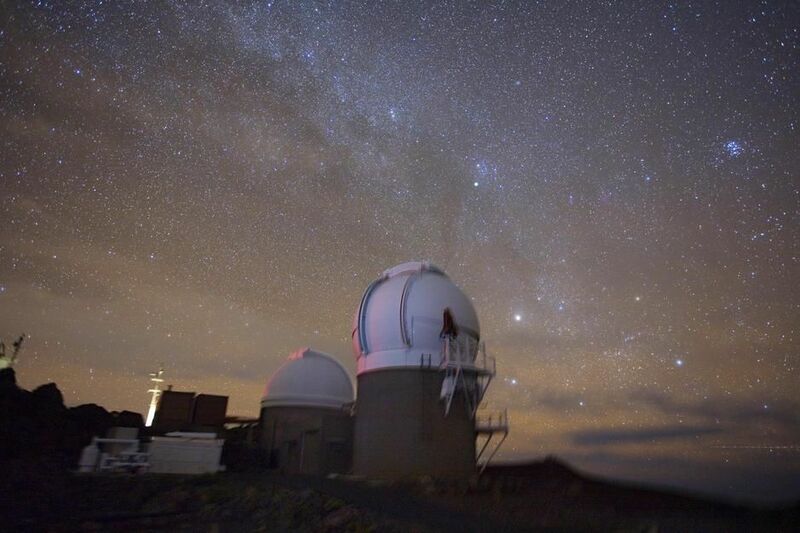 The University of Hawaii Institute for Astronomy's PS1 observatory, Maui. 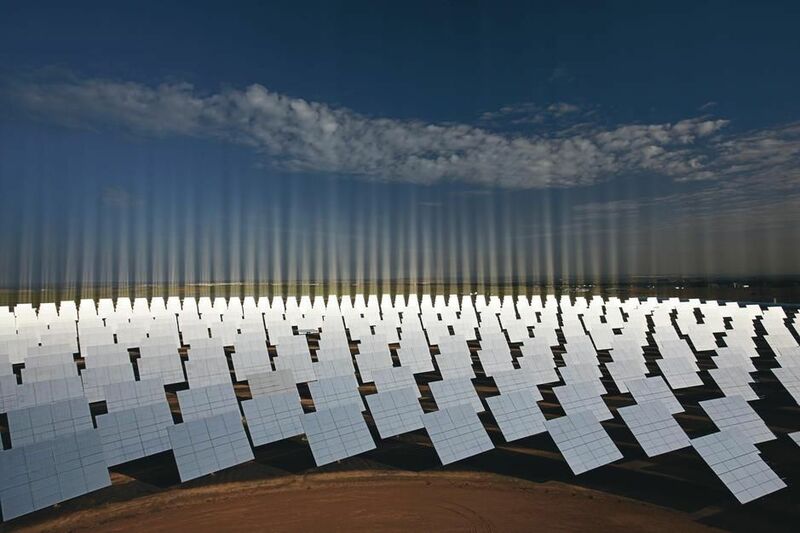 Mirrors catch sunlight at an electric plant in Seville. 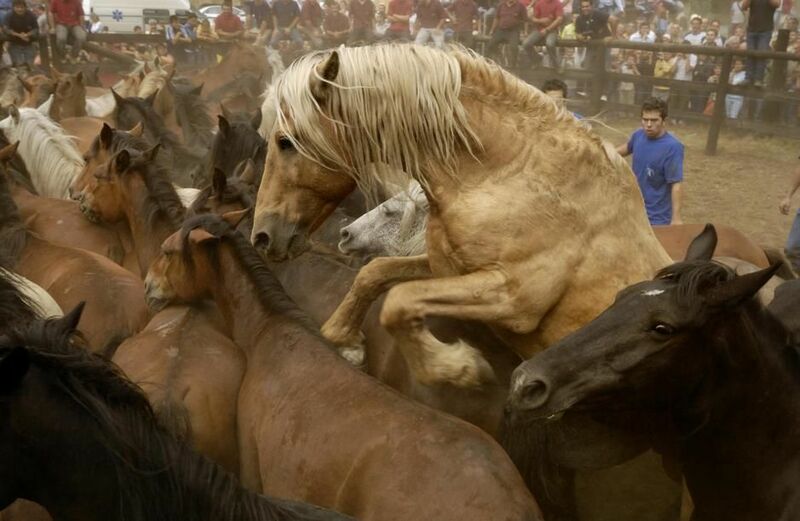 Corralled wild horses at La Rapa das Bestas festival in Vimianzo, Galicia. 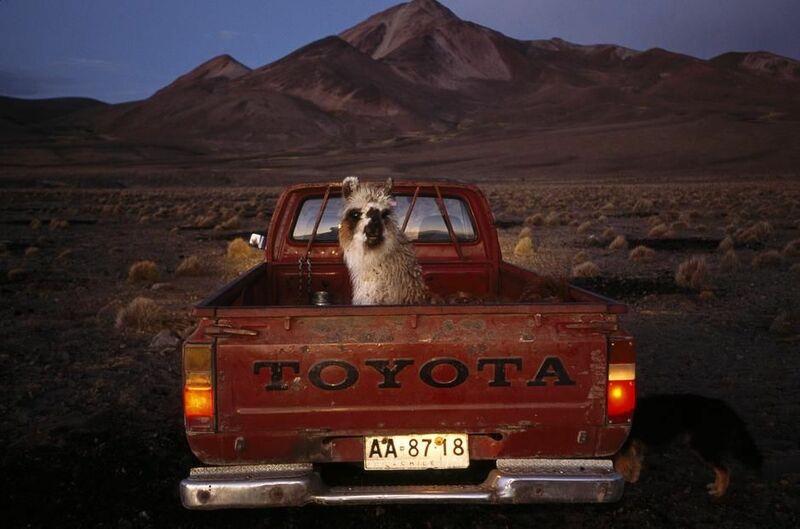 With a high desert backdrop, a llama sits in the back of a red pickup truck, Atacama Desert.